Reliance Hexham offers site-specific crane auditing, testing and parts replacement services for a variety of industries that manage the lifting of goods and people, including the Australian mining, manufacturing and marine industries. We provide third-party audits for certification, prevention and risk minimisation. Our expertise lies in auditing and testing existing non-standard cranes, as well as developing and manufacturing fully customised new and replacement parts to our customers’ exact specifications. A crane audit is a third party certified assessment that ascertains the reliability of the currently employed lifting equipment, and identifies potential hazards. A crane audit usually consists of a thorough inspection of the equipment on site and some testing, after which a decision is communicated. This process is supplemented by a verification of the accuracy and validity of the relevant documentation. If the equipment is deemed fit for service, certification is released. Otherwise, a course of action is recommended which may involve equipment maintenance or repairs, or substitution as a whole or in part. The frequency of audit is often mandated by Australian Standards, as well as State and Commonwealth governments. Safe Work Australia recommends regular inspections to be carried out annually or in accordance with the manufacturer’s instructions or those of a competent person or inspector, and major inspections at least every ten years. Other factors such as incident reports, visible wear and tear and ageing of equipment can also spur the need for a crane audit. Our strong recommendation is to always err on the side of caution, and schedule crane auditing at regular time intervals, depending on rate of use and overall risk assessment. Routine inspections can take place more often, on a quarterly, monthly or even weekly basis. Consequences of crane failure can be disastrous and include downtime, damage to goods and property, and in the worst cases, even casualties. Thus, a periodic, preventive inspection of equipment proves to be extremely valuable. Ensuring equipment reliability and guaranteeing the safety of people and things is a prime concern for Reliance Hexham as much as it is for our customers. Therefore, we strive to provide best in class crane auditing services through a detailed and comprehensive process, which analyses equipment from the standpoint of its design and its effective condition. We start out with a visual inspection by our engineering team in order to verify the equipment’s fitness for work and note its daily operating process. 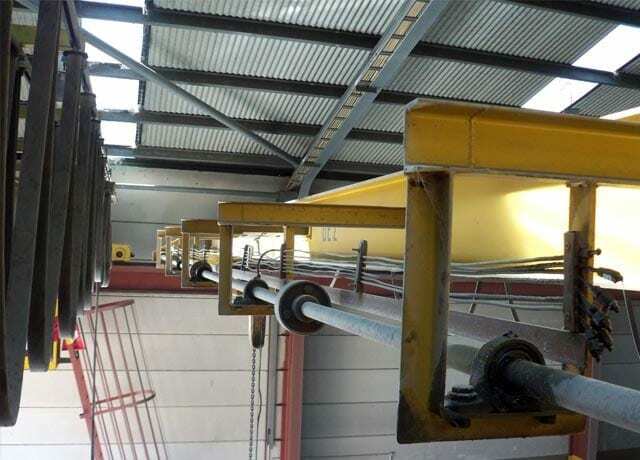 The visual inspection entails checking for any signs of damage due to normal wear and tear, overloading, or rust, and is supplemented by an assessment of the design of the crane as a whole. At the same time, we check the available documentation and assess the crane’s current technical performance. In order to spot points of failure that may escape the eye, we carry out a Magnetic Particle test, aiming to identify potential cracks and any structural damage. Our on-site inspection ensures minimal obtrusiveness and downtime for our customers. Should any repairs be required, Reliance Hexham provides maintenance services, as well as design and manufacturing of custom replacement parts to the highest standards, using exclusively high-quality materials. NATA certification will be issued for the Magnetic Particle test, in accordance with our scope of accreditation. Finally, we will supply you with our expert advice to help you maintain your newly certified equipment in full working order, for longer. Indeed, we find that, more often than not, the reason why damaged or unfit equipment is kept in service is not a lack of means, but rather a lack of knowledge. We work in conjunction with other crane specialists and third-party inspectors to provide a one-stop package that also includes hoisting, ropes and spare parts. Once serviced and refitted, the crane goes through a final round of testing to ensure that it works correctly, and certification is released. Additionally, our team of engineers and tradespeople specialise in unusual applications that require a bespoke crane solution. 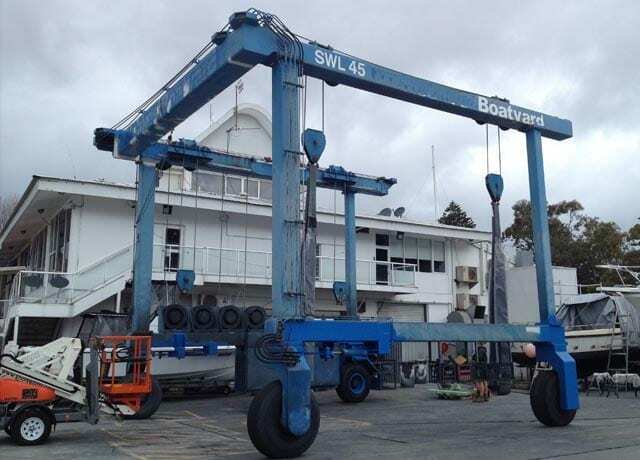 We have previously audited a marine crane used for lifting boats out of the harbour water; this customer is possibly one of only three businesses in Australia which operates this type of equipment. In this instance, a full strip-down and overhaul had proved necessary in order to be able to inspect all equipment parts in depth. Our team therefore disassembled the crane and carried out comprehensive crack testing to look for signs of failure, both on the surface and inside the crane. Subsequently, we designed and replaced the parts deemed unfit due to deterioration, re-assembled the crane, and tested it once again to ensure proper functioning of the unit. The ability to manage projects within unique fields of application, such as custom-developed marine crane parts, from start to finish, is our core strength and what distinguishes Reliance Hexham from the competition. Our experienced personnel will be able to provide dedicated advice for your specific application and requirements, and is always at your disposal for consultations or quotation requests. © 2018 Reliance Hexham. All Rights Reserved. Supply Terms & Conditions . Privacy. Disclaimer.